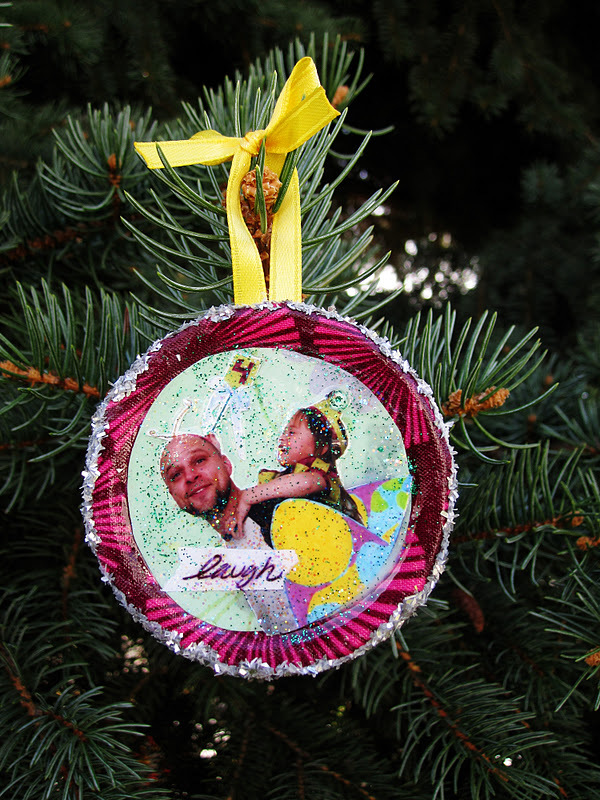 I’m guest posting today over at Craft Snob as part of the handmade Ornament Paraded. There’s been tons of fun ornament tutes and even more to come. 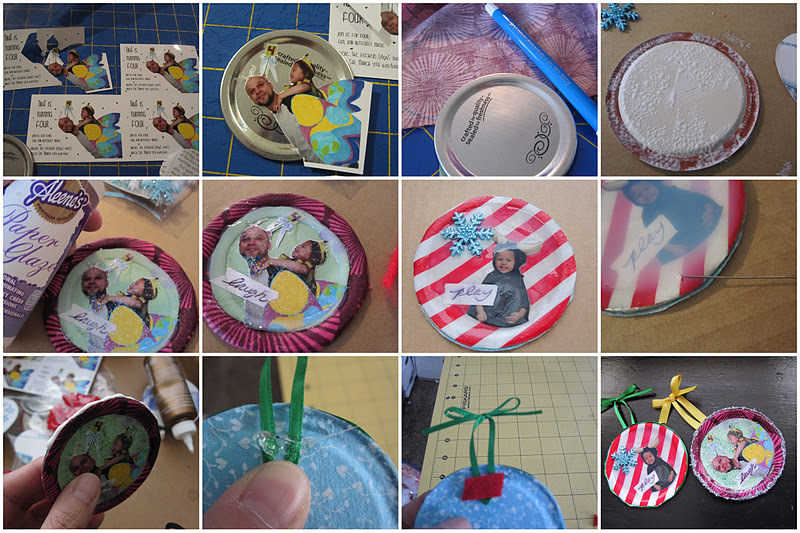 Check out how I remade old canning lids to make cute collage ornaments here. For those of you visiting from Craft Snob. Welcome it’s great to have you. I hope you take a peek around. Here are a few of my personal favorite posts if you need somewhere to start. Caramel Macadamia Nut Cheesecake no need to pay 8$ a slice at the cheesecake factory ever again. Hooded Scarf It’s a scarf with a hood, super functional and super cute. The perfect gift for the person you have no idea what to give. Melted Snowman Ornament Quick and easy cute ornament. 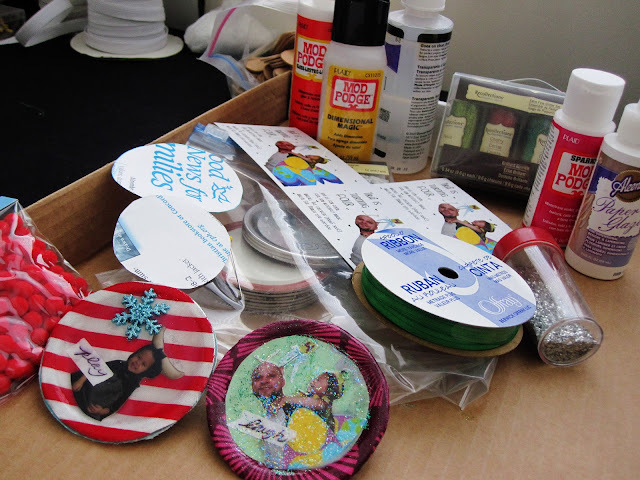 Apply a layer of Mod Podge and put the background paper/felt down and do the same to the back of the lid. Arrange your picture and words and apply those using Mod Podge (one I used plain and one I used the sparkle kind). Do that by first putting a thin layer over your background and placing your pieces and then applying another layer of Mod Podge. If you want to add any sparkles or other embellishments you can do that now. If you want more of a glazed look like I wanted you can use paper glaze or dimensional magic. Just read the packaging for details on how to apply it. It’s best to work from the outside in. If you are using 3D embellishments (like the snow flake) you can just throw them on after you put the glaze on. You can add more glitter also if you want. I used a pin to move air bubbles out of the way and move glitter when it was too concentrated over faces. Let it sit overnight. If you cut your background pieces big your edges probably look nice and covered but I didn’t think that far ahead so I wanted to add something. On one I just used a thin ribbon and on the other I used chunky glitter. I applied it using tacky glue. Next make a ribbon hanger. I just made a loop and tied a bow at the ends of a strip of ribbon. 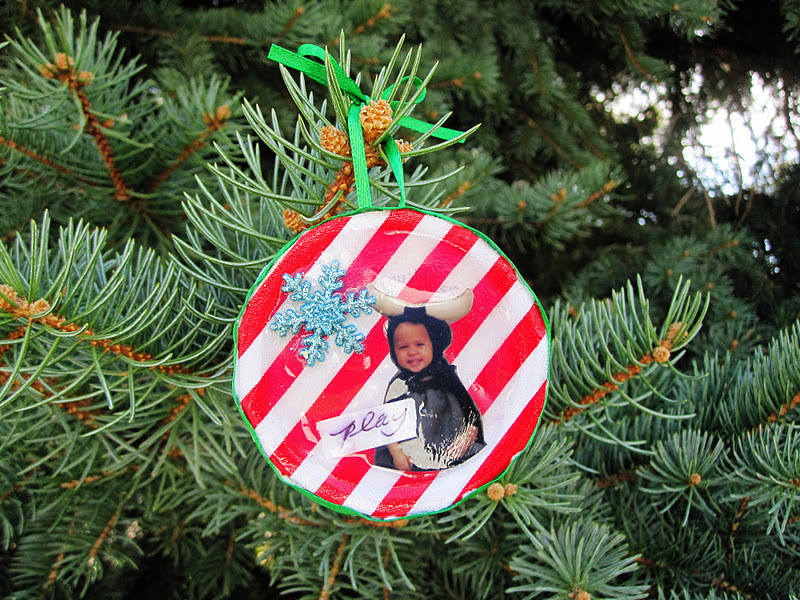 Next hot glue it to the back of your ornament by sandwiching it in between the back of the ornament and a piece of felt. Super easy and fun. I love them because not only do I get to repurpose something but it’s like a little memory. With the stripe one I’m taken back to the matador and bull costumes I made for my nieces and hubby last year and with the other one I’m reminded of the good times we had at my oldest niece’s 4th butterfly birthday party this year. I hope you have fun making them and I’d love to hear from you and see picture of yours too. How cute! Love the ornament. Great idea… I totally want to try this one now. 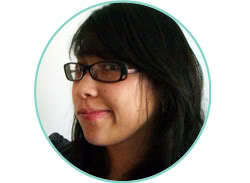 Hi Marissa-thank you for your kind comments on ReMadeSimple today! I tried to find your link party but couldn’t-can you tell me where to find it? Thanks Miss Red they are so fun and easy! Hi Marissa! Thanks a lot for the invite and for visiting my blog. I added my reindeer pattern to your link party. I would love it if you linked on my link party as well. It start this evening and will go on tomorrow as well. Hope to see you there! Of course annemarie, it is so so darling! I”ll have to hop on over for your party too, thanks for the heads up! Great idea for an ornament! What a great idea!!! You are so talented and creative! Marissa the ornaments are super cute. I would love for you to link this wonderful post at our linky party launch. Hope you can join us. Very fun. THese type are always my favorite ornaments. Marissa….THANKS for Linking Up at RAndee’s Organized CHaos!!! Great way to reuse old canning jar lids! I love to make organic raspberrry jam each and always have some from our empty jars! These ornaments are so cute! I am loving the pictures! Thanks for linking up to Strut Your Stuff Saturday! We hope that you will come back tomorrow and share more of you amazing ideas!